Donations have been pouring in, but area food banks still need more supplies. RALEIGH (WTVD) -- The Food Bank of Central and Eastern North Carolina received a large donation at its location on Tar Heel Drive in Raleigh Tuesday. It came in the form of 23 tons of Red Gold tomato products to help resupply food bank warehouses and pantries for Hurricane Matthew victims. Through volunteers and donations, there has been an outpouring of support for those affected by the hurricane. 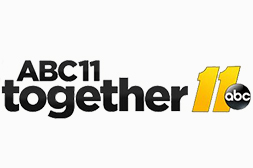 The ABC11 Hurricane Relief Food Drive collecting 15 truckloads of food for this organization and Second Harvest Food Bank. With additional cash donations, that's more than 713,000 meals for those in need just from the ABC11 Hurricane Relief Food Drive. In all, the Food Bank of Central and Eastern NC has already distributed over 1 million pounds of supply. Second Harvest Food Bank has distributed over 800,000 pounds. But there is still a huge need for more food for hurricane victims and especially cleaning supplies for those returning to clean their homes that were flooded. "Some people are just back in their houses only two weeks ago when the floods from the rivers kind of died back down so a lot of people are still dealing with devastation out there, still trying to get back up on their feet," said Carter Crain, of the Food Bank of Central and Eastern North Carolina.